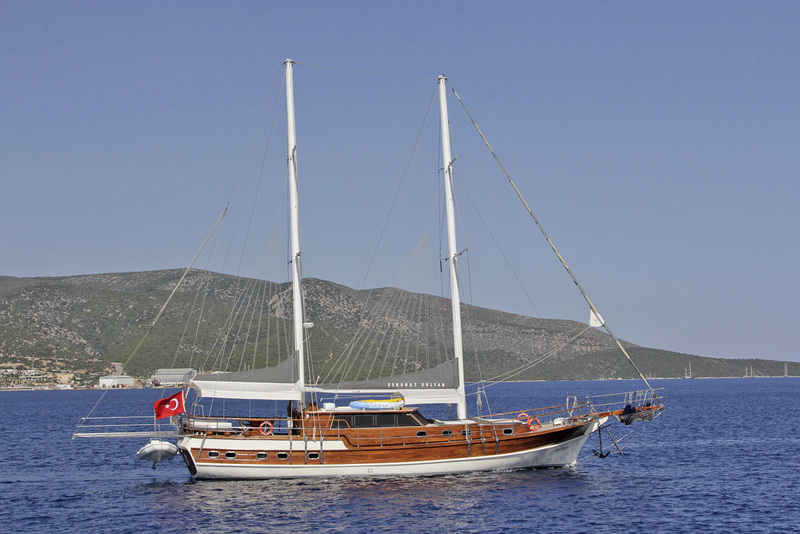 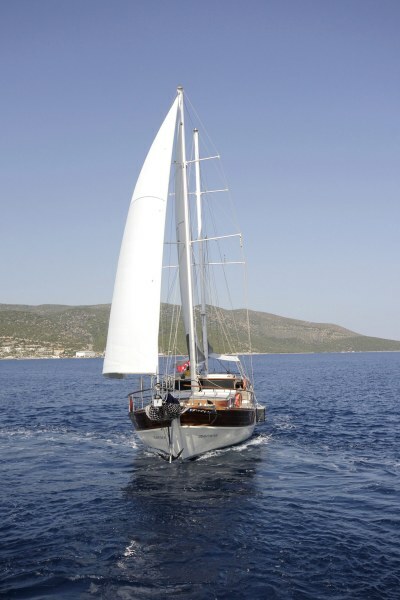 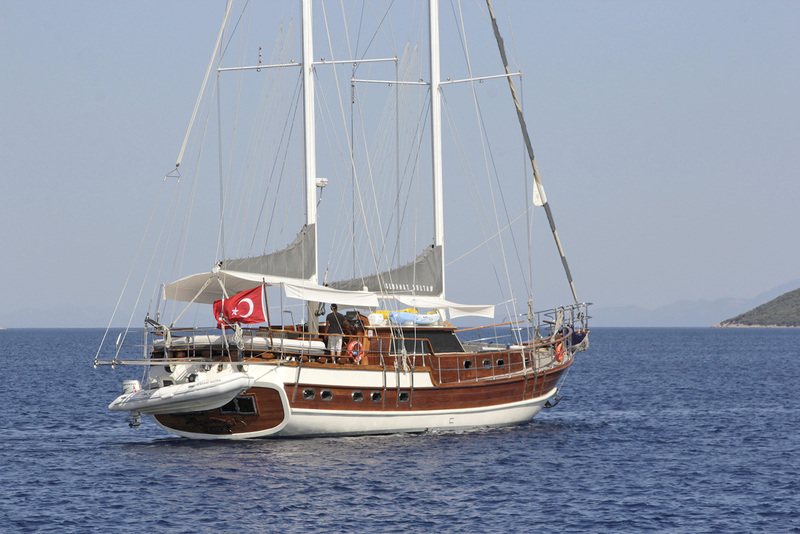 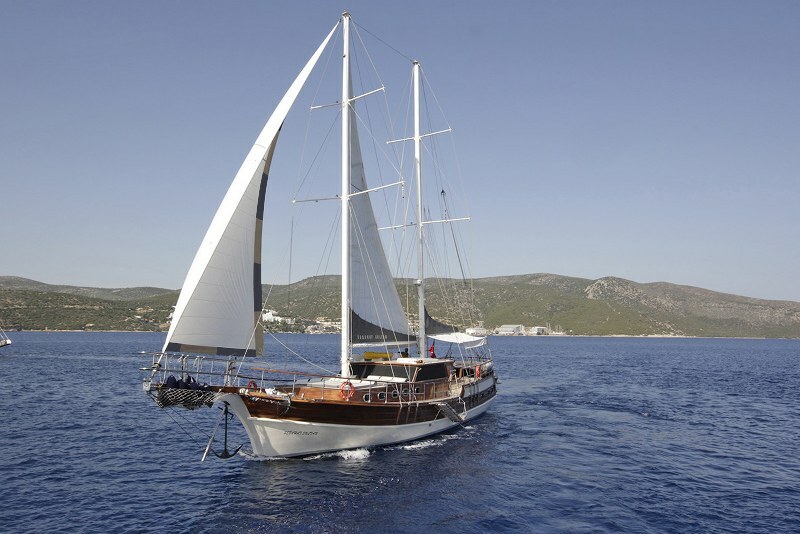 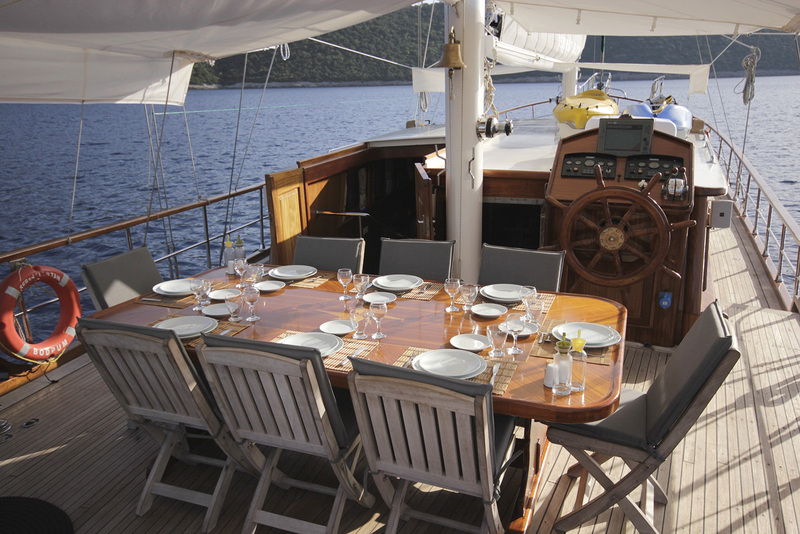 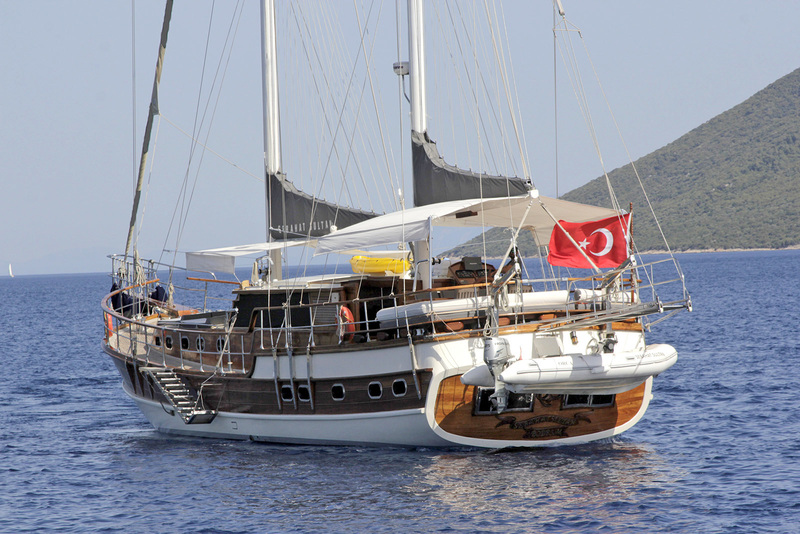 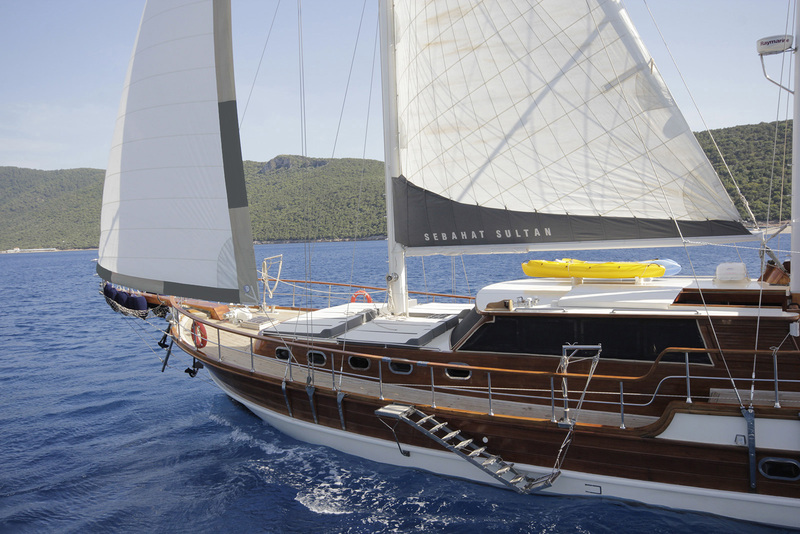 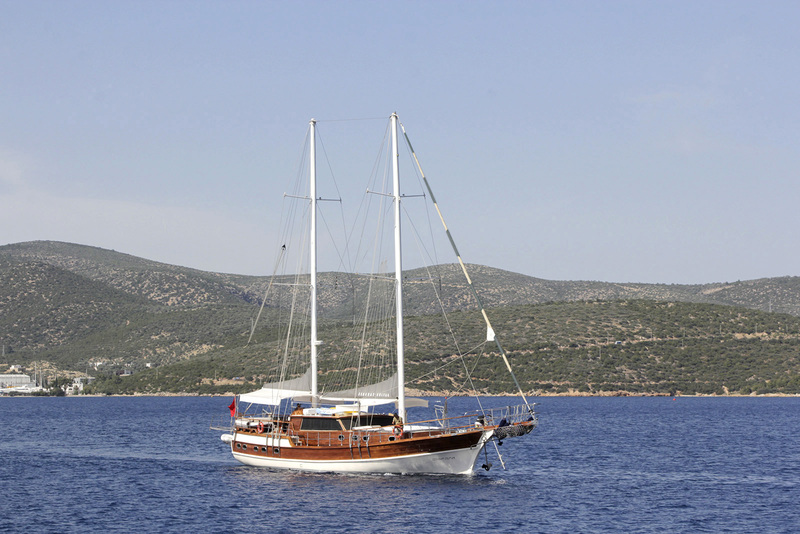 The luxury gulet Sebahat Sultan is a well-kept charter gulet, popular for guests who want to travel in comfort along the coast of Turkey or island hopping in Greece. 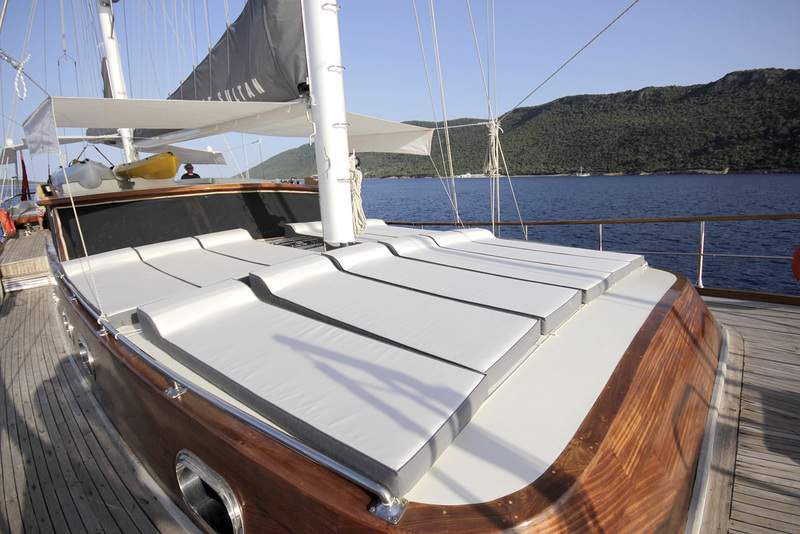 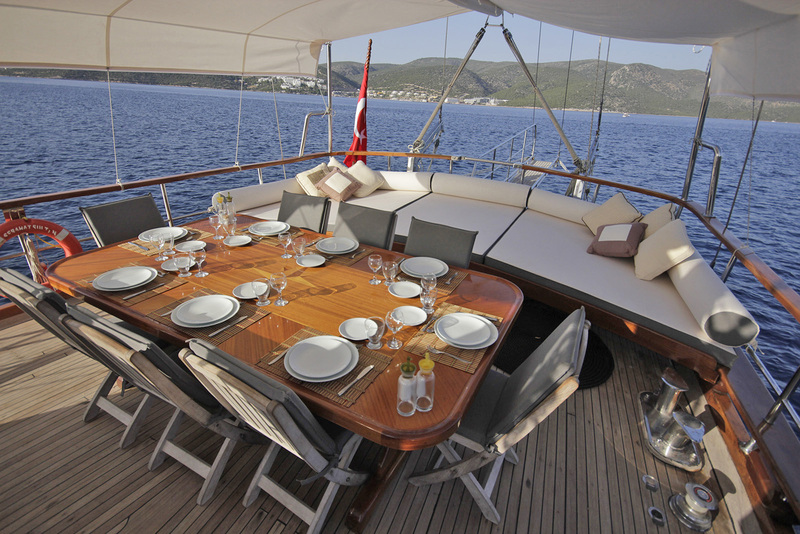 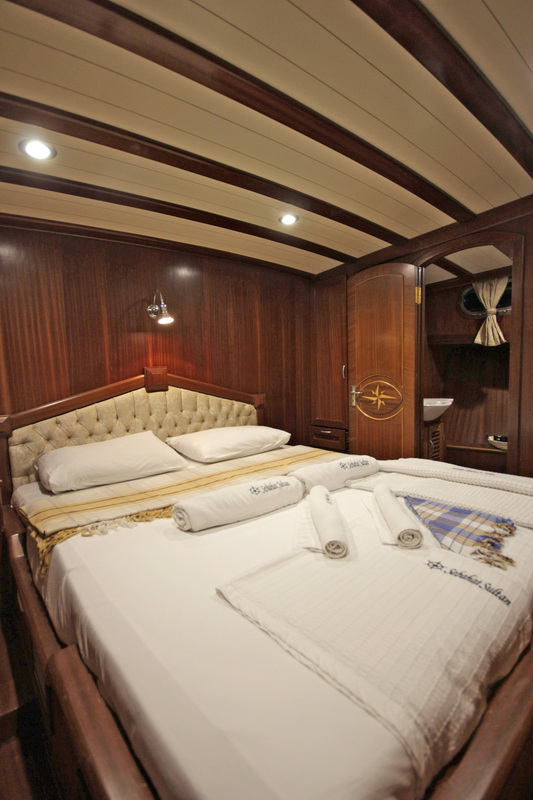 Built and based in Bodrum, the sleek teak and mahogany hull holds five comfortable double cabins, including two master cabins with centrally aligned beds. 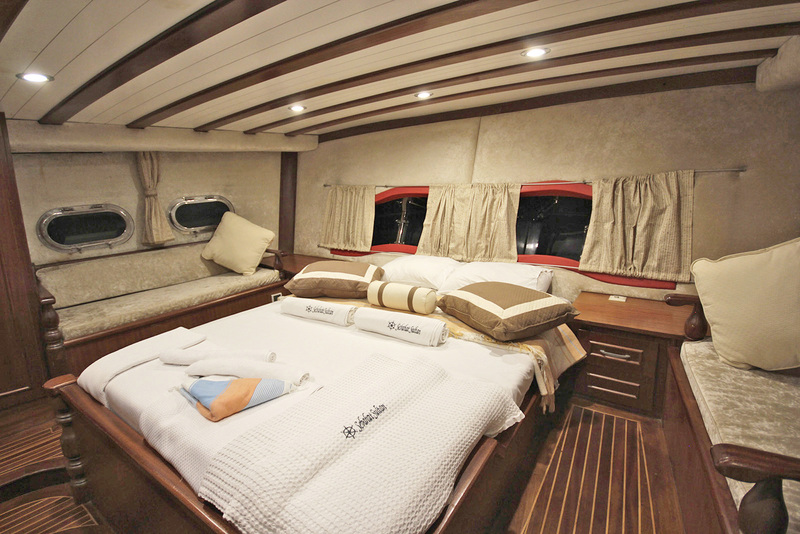 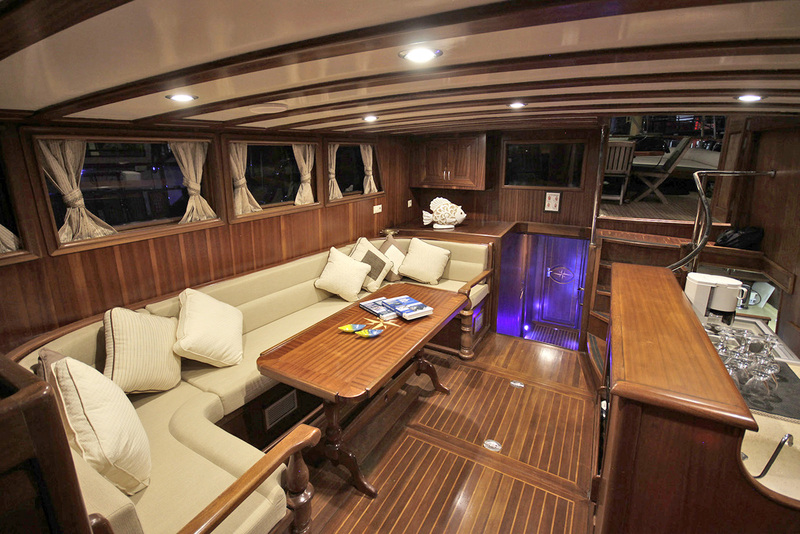 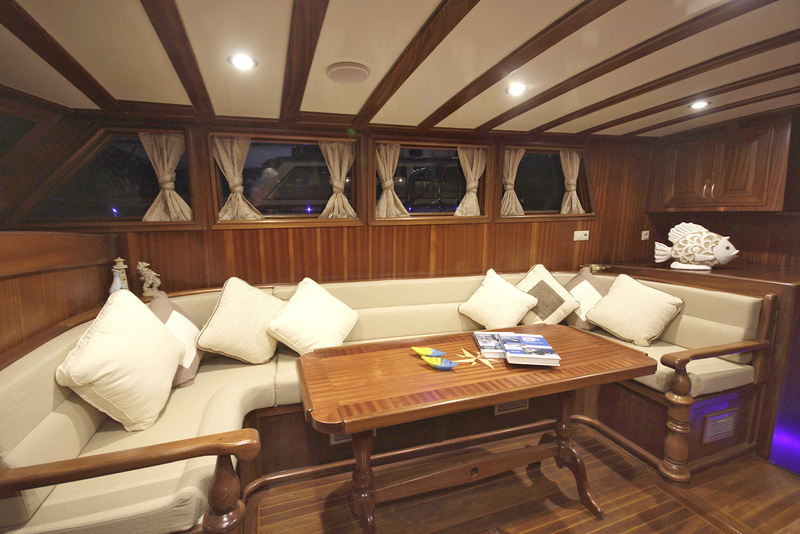 The aft master cabin enjoys the fabulous light from the windows and a couch seat but has a little less head room. 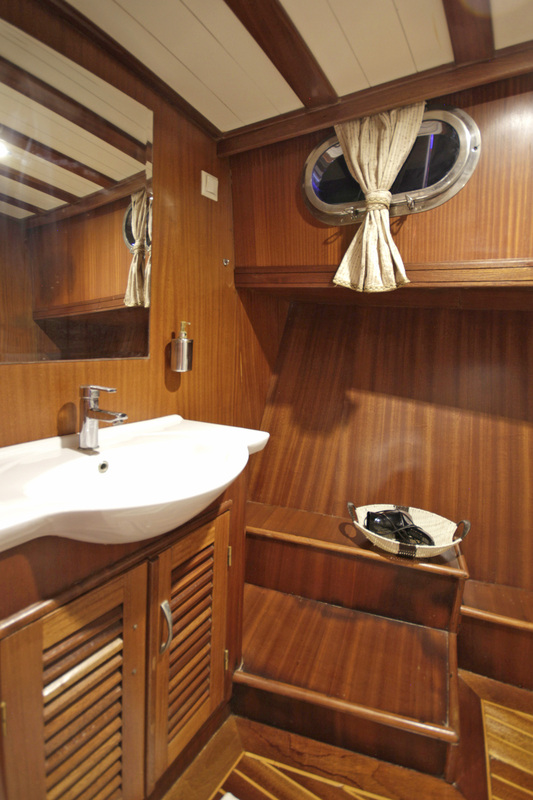 The master cabin forward has head height for tall persons in both the cabin and bathroom. 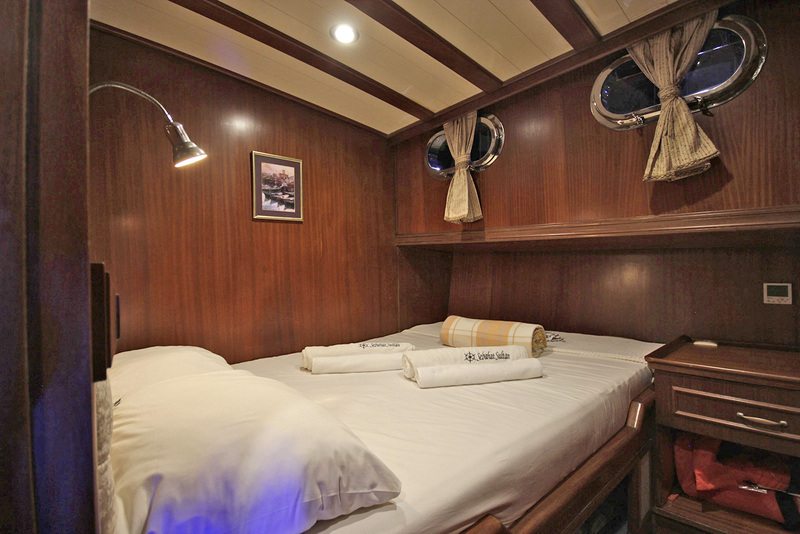 The smallest double cabin is aft beside the aft master cabin, and has a bunk bed above the foot of the double bed, and is usually the children’s favourite. 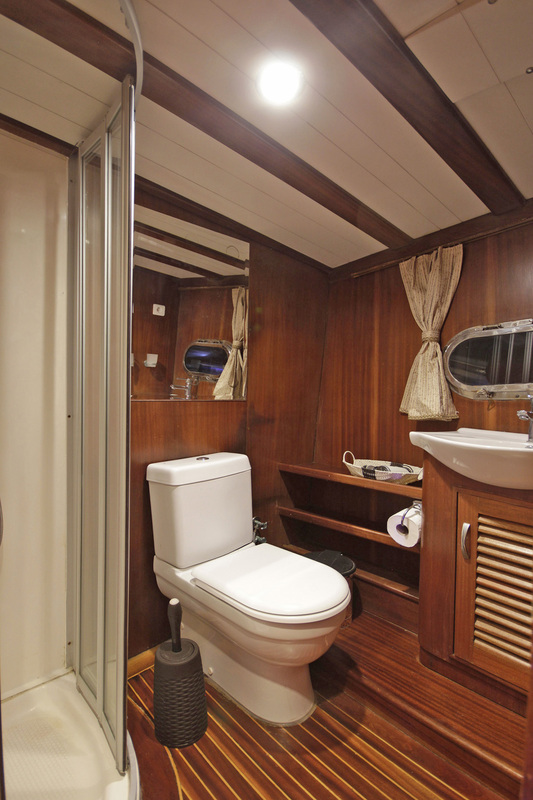 All cabins having their own shower bathrooms complete with shower cabins and the thoughtful provision of hair dryers. 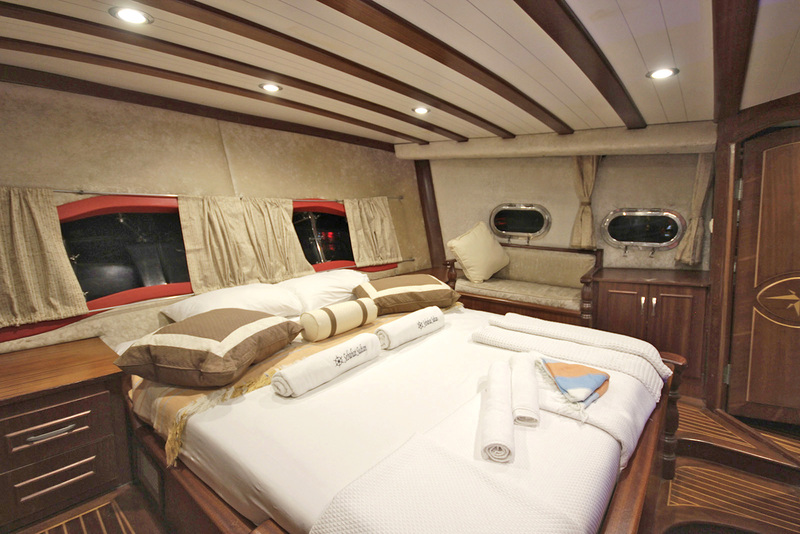 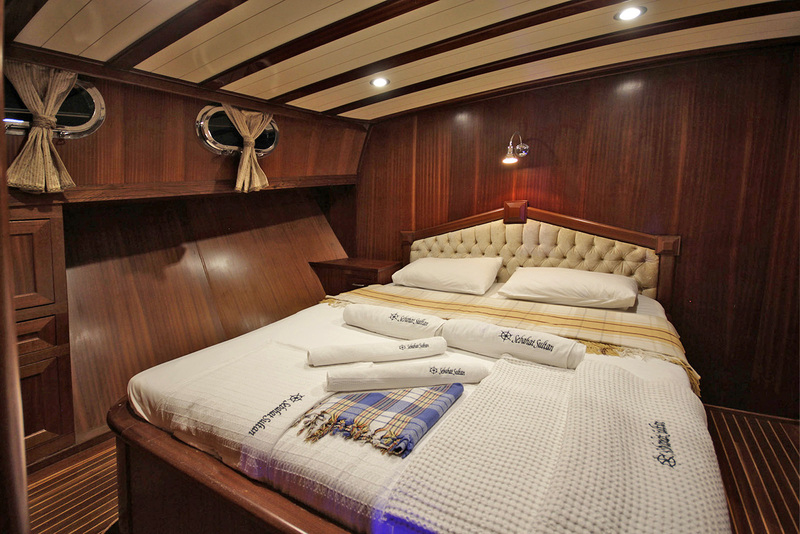 Air conditioning on Turkish yacht Sebahat Sultan is run throughout the cabins, and in the saloon, where dining, watching TV, listening to music or relaxing indoors are just a few of the options for guests. 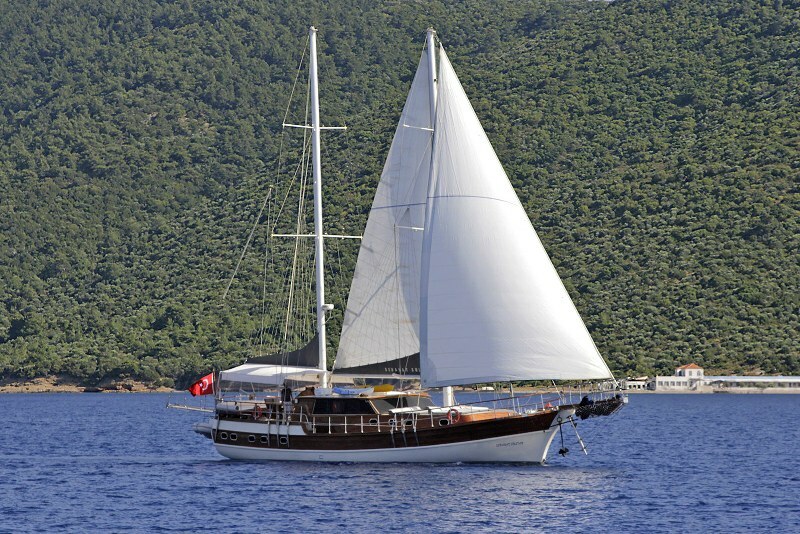 But the cruise is all about the outdoor life in the fresh air, be it reclining in the shade on the curve of cushions aft, enjoying the best of Turkish dishes cooked and served by the crew, or relaxing on the foredeck sunbeds. 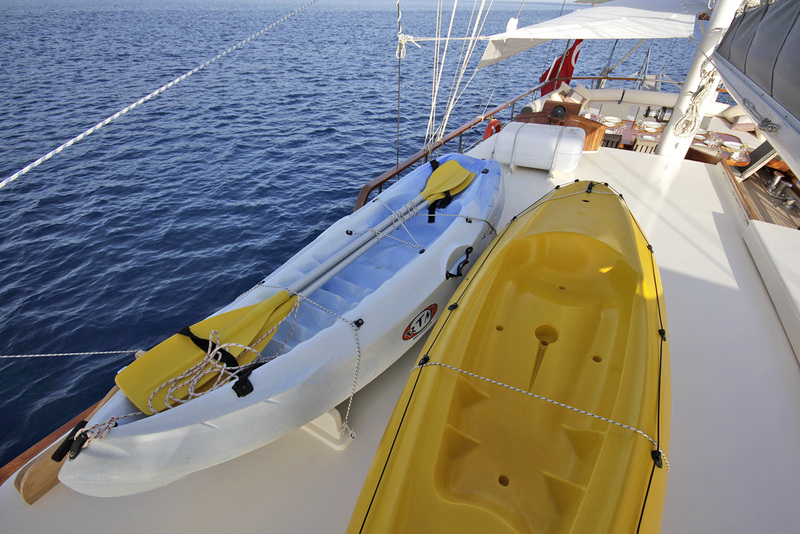 The windsurf board, canoes, and snorkeling gear are ready for the active water loving guests who will thoroughly enjoy the crystal-clear blue waters of the Aegean. 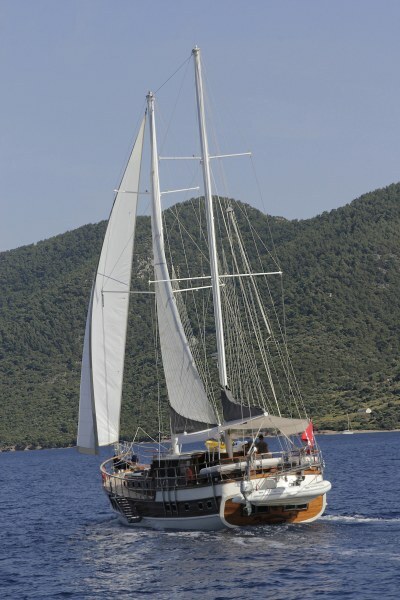 The captain and two crew of the Sebahat Sultan ketch are keen to set the sails, pamper and take you to the quieter coves, as well as the coastal towns and villages, for just the right mix for your relaxing gulet cruise along the Turkish coast or amongst the Greek Dodecanese Islands.